The early 1600s saw the setting up of joint stock companies in England and other European countries to exploit trading zones in distant lands. Many of the English schemes were designed to underwrite the plantation (or settlement) of colonists. Among them were the Londonderry, Virginia, and Bermuda companies - and the Newfoundland Company, established by Bristol and London merchants in 1610. Their aims were very practical. The main value of settlement at Newfoundland, as they saw it, was "to secure and make safe the trade of fishing". 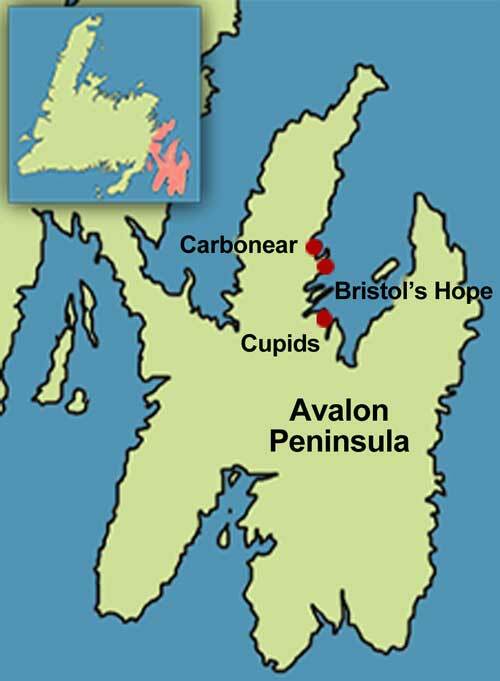 The company's royal charter granted it the whole island of Newfoundland, but it was understood that activity would be focussed on the Avalon Peninsula. Thirty-nine colonists set out from Bristol in 1610 under John Guy, an experienced Bristol merchant. They had detailed instructions. They were to fortify the settlement at Cupids (then known as Cuper's Cove) in Conception Bay, experiment with farming, cut spars and planks, make salt, potash and glass, collect samples of ore and, significantly, to fish and trade in cured fish and train oil. The first two winters were mild, the death rate was low, and the colonists were able to carry out their instructions. In 1612 Guy brought out 16 women. The company hoped, obviously, that the settlement would eventually became self-replicating. On 17 March 1613 a son was born to the wife of Nicholas Guy (probably a relative of John). It is thought that this was the first English child born in Newfoundland. The Newfoundland Company eventually replaced Guy with the capable mariner John Mason, who may have been chosen for a perceived ability to deal with the pirates. Unfortunately, he was not especially attentive to the fishery and this could only weaken the colony's economic stability. The colony's interim leader, Henry Crout, thought the company never exploited the fishery as fully as it could have, there being too many who "scorned to torne a Fish", as he put it. The West Country fishermen nevertheless perceived the colonists as serious competition and by 1618 they were already at odds with the planters. Mason moved to New England in 1621 and the Cupids settlement apparently dispersed, although there were still people there about 1624. The historian Gillian Cell argues that the original plantation was doomed to failure from the start because it could not earn enough to satisfy the company's shareholders, and at the same time support the colony. This is a nice explanation because it suggests that if a settlement was not beholden to shareholders it might support itself, and this is, after all, what eventually happened in Newfoundland. Cell's larger claim that successful exploitation of the Newfoundland fisheries did not require settlement is beside the point. There are many possible reasons for colonization. One of the most important at this time was the hope servants had of becoming householders in their own right. If settlement was slow to develop, a significant factor may have been the Newfoundland Company's reluctance to allot premises to its servants. Although the Cupids plantation was a business failure, it was successful in a different sense: The English were now actually established in a new and somewhat inhospitable territory. Archaeologists working at Cupids have found traces of mid-17th century occupations, but even the excavations of 1997 could not determine whether these represent planter households or simply the cabins occupied by migratory fishermen. Significant settlement took hold at Bristol's Hope, where Nicholas Guy and his family moved, rather than at the original colony. But Cupids is historically important. 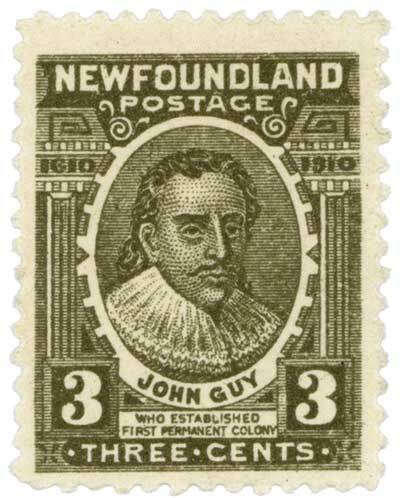 It was not only the first English settlement in Newfoundland, it was the ancestor of later settlements both in its personnel and in the succession to the rights granted to the company by patent. Although the Newfoundland Company's royal charter encouraged settlement throughout the whole island of Newfoundland, it primarily focussed its efforts on the Avalon Peninsula. Illustration by Duleepa Wijayawardhana, ©1998, Newfoundland and Labrador Heritage Web Site. When Cupids did not produce the profits that the investors in the Newfoundland Company had hoped for, these London and Bristol merchants did what most businessmen would do and liquidated their investments. They did this by subdividing the original grant into several lots and reselling regional proprietorships. Several of these successor proprietors organized colonies, among them Sir William Vaughan at Renews, Sir George Calvert at Ferryland, as well as William Payne and others at St. John's. Other investors, like Sir Percival Willoughby, who purchased the Conception Bay lot north and east of Carbonear, do not seem to have managed even a brief colonization effort.